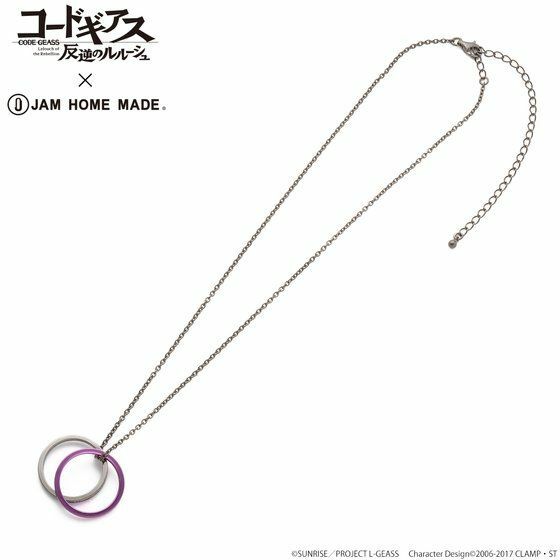 "Code Geass: Lelouch of the Rebellion" × "JAM HOME MADE": Lelouch double ring necklace. 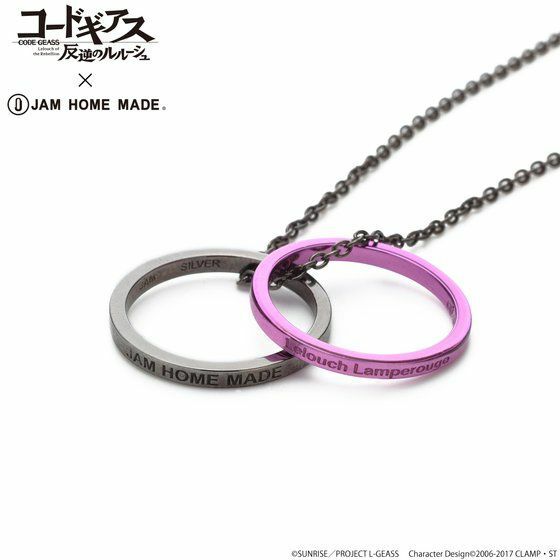 A set of purple and black rings and necklace inspired by Lelouch, can be worn as a ring or a necklace. Set of two rings made of silver 925 with purple and black coating, its thin band design creates a fashionable atmosphere even by wearing it alone. 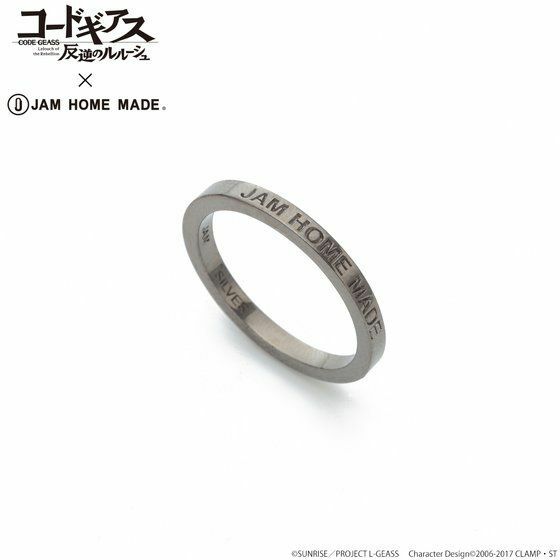 The purple coated ring is engraved with "Lelouch Lamperouge" while the black coated ring is engraved with "JAM HOME MADE". 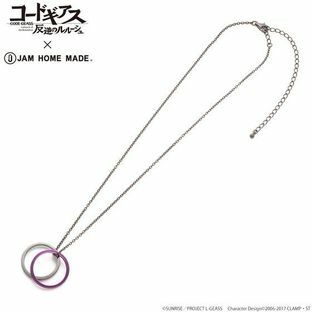 Simple and easy to wear. 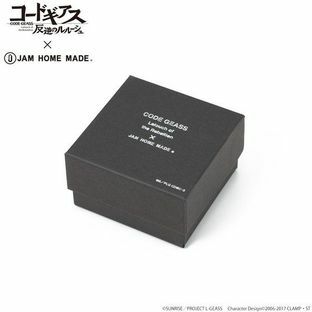 Comes with an exclusive box specially designed for this project.